Internet is a huge and vast world where we can find almost everything we want. For people who have had issues at the time of reading PDF files and images and extracting texts from them, looking for an online OCR free service must have been mandatory. 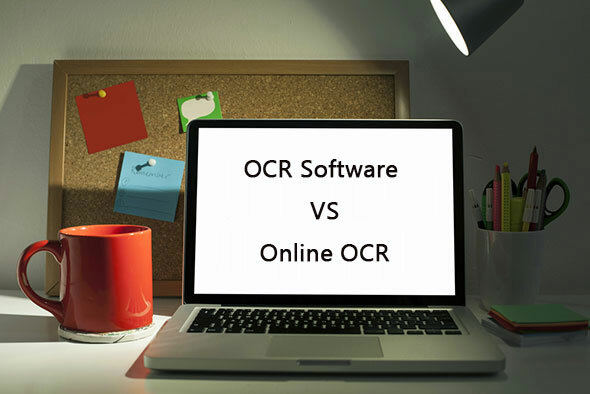 But why on earth OCR Software is a better choice than online OCR? Not everything we find online is worthy of our time and our use. That is the current problem with these online services. The main problem is that the online OCR services you could find are not as good as expected, and obviously, not as good as Free OCR to Word, a free software which will solve all your problems at the time of converting an image or a PDF file into a text document. Why do people look for OCR software like this one? What can Free OCR to Word do? Why using bEST OCR Software instead of an online OCR service? How to convert images and PDF files to a Word document with OCR Software? It takes a lot of effort to read images which have low-resolution and PDF files with very small characters. Those old books, papers and magazines that we can scan are such a trouble at the time of reading. Also, quoting implies a lot of time to rewrite whole passages from PDF books, a total bore task which makes us waste some precious time we could use to do other things. People often look for an app or a website where they can solve all these problems by extracting whole sections of text from PDF files or converting images in Word documents or TXT files, but online OCR services are not what they expected. This is the reason why experts developed Free OCR to Word, a software that is loved by users. More and more positive reviews from experienced companies certify the great job it does, its simplicity, and its interface. 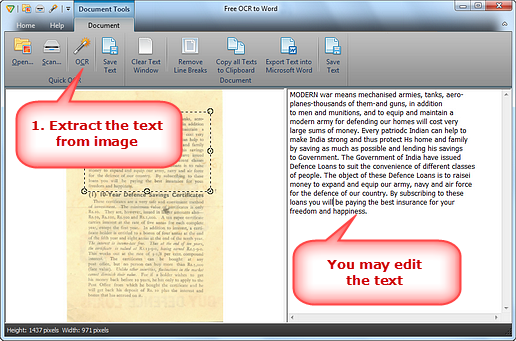 Free OCR to Word is a downloadable software that allows users to extract text from images and PDF files. Its Optical Character Recognition guarantees a great and accurate performance. 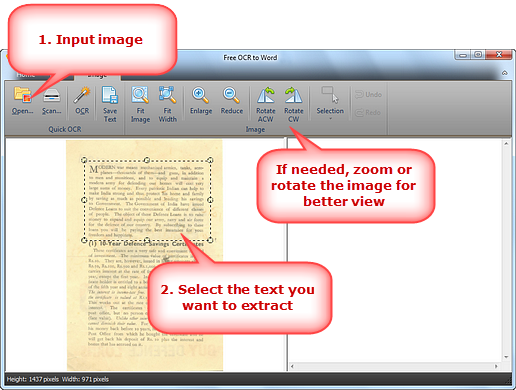 Free OCR to Word recognizes texts in images and PDF files and extract those texts into a window where they can be edited. If you desire so, this free software gives you the chance of outputting the edited text into a Microsoft Word or TXT file which can always be used in a more comfortable way. 1. Free OCR to Word does not need internet connection to work. After downloading the software, it will work flawlessly, even if your internet connection is slow. 2. Online OCR services usually require registration to a website where the service is available. This usually also means receiving a lot of spam in your e-mail from the website. Free OCR to Word requires no registration on any website which makes it a safe and free from spam option. 3. Online OCR services are always paid. It happens a lot that online pages offer to extract some paragraphs from a PDF file or an image, but to continue doing it they ask for a fee or for paying for a monthly subscription to the service. Sometimes even paying these fees do not guarantee receiving a better and complete service. Free OCR to Word is a free software which asks for no money at all, and after downloading it you can use it as many times as you want with no problem. 4. Online OCR services only offer to extract text from PDF files or JPG and PNG images. This would mean not recognizing a lot of image formats people use daily. Free OCR to Word recognizes these and many other image formats such as TIFF, PSD, TGA, BMP, etc. 5. There is no online OCR service as accurate as Free OCR to Word. With a 98% of accuracy, its performance is way too much superior to the performance of an online service. This has been certified by experts, highlighting the great work developers made at the time of creating the software. 6. There is no hazard at the time of downloading Free OCR to Word since there is no spyware, malware or virus in this software that could affect your computer. Online OCR services are often filled with tricky ads that could lead you to unconsciously download a virus or malware. Safety is a top priority at the moment of using such a sophisticated software. A previous thing that must be done before starting the simple 3-steps process is downloading for free and launching the OCR Software. Just as previously said, no registration nor fee will be asked for downloading Free OCR to Word. After launching the software, you will see there is no software as easy to use as this one. Click the “open” option so you can choose the image – no matter its format – or the PDF file where the text you want to extract is. If you need to rotate, enlarge or reduce the file, there will be a tools bar that will display certain options for you to do that. It will be easy to recognize them because of the interface of the software. Click “OCR” so you can extract the previously selected text. A new window will be displayed, and the text will appear there, ready to be edited. Some options will appear in the tools bar as well to make the editing process easier. 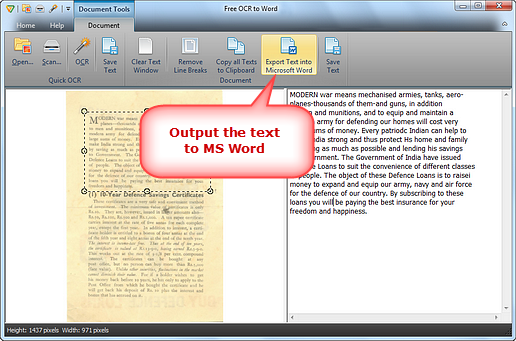 Click “Export text into Microsoft Word” so you can output the extracted and edited text as a Microsoft Word file. You can save the text and use it whenever you want. There is no online OCR service that can match the flawless performance Free OCR to Word offers its users. 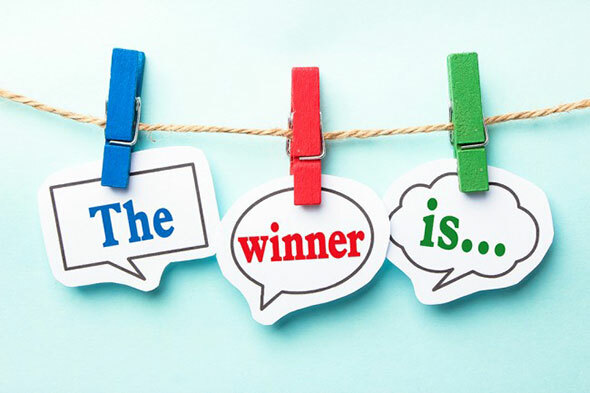 This is the main reason why more and more people choose this sophisticated software instead of websites that ask for fees and registration, that do not offer an accurate performance, that do not guarantee a limitless usage, and that do not work with any image format. Free OCR to Word has no match.